Moments, Op. 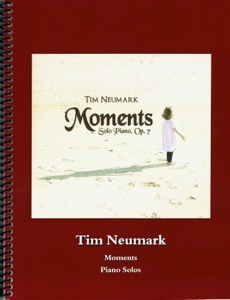 7 is the companion songbook to Tim Neumark’s 2015 album release by the same name. The recording has thirteen tracks, one of which is an orchestrated version of Tim’s “Beginnings” from his debut album, Biography. 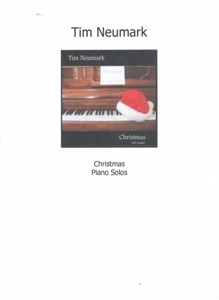 (The solo piano sheet music for “Beginnings” is included in the songbook for that album.) The other twelve pieces were transcribed by John Zechiel, and edited and proofed by Tim and myself, ensuring that the sheet music is as close to the recording as possible. Inspired by memorable unplanned “moments” in life, most of these pieces are quite light and upbeat - often a reflection on life with two very young daughters. From the adorable cover photo to the closing informational page, this spiral-bound book is a delight. The layout is clear and roomy and the music is easy to read. 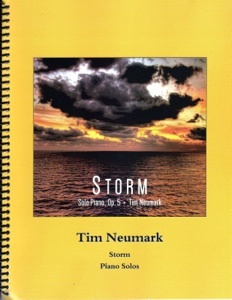 A few of the pieces are in challenging key signatures and there are a few reaches of more than an octave, but most of this music should be playable by pianists of an intermediate to upper-intermediate level. More advanced fans of Tim’s music will enjoy being able to play through most of the songs with relative ease. I have really enjoyed playing this book and recommend it. 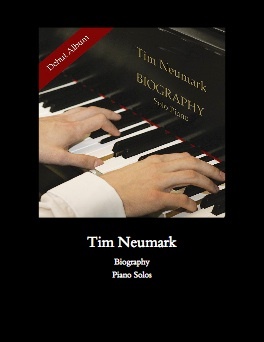 It is available as a physical book or PDF download from TimNeumark.com.